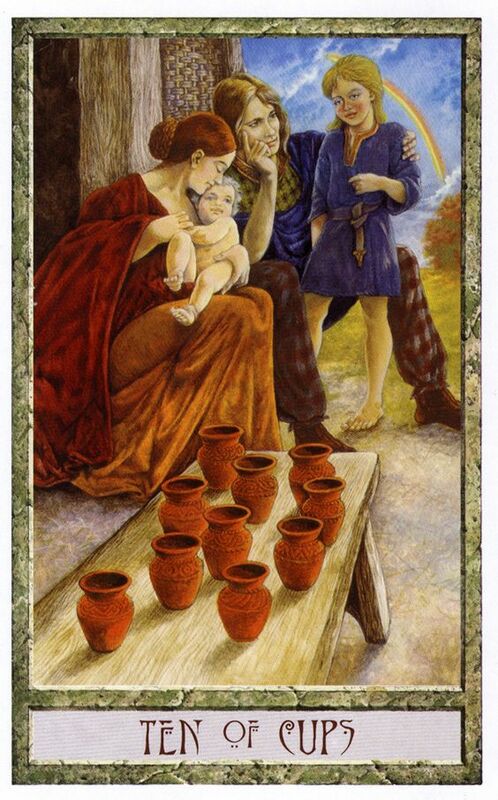 It’s the 46th week of the year and the card of the week is the 10 of Cups. 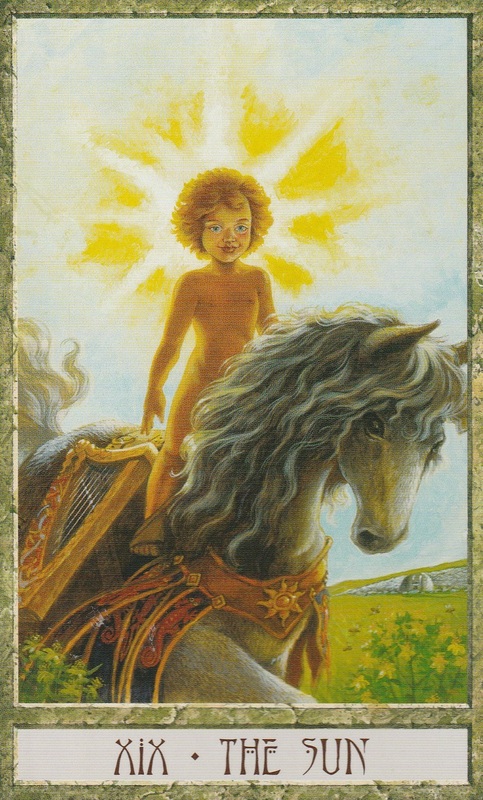 The 10 of Cups is the happiest card in the deck. It’s a card of utmost happiness and perfection. It appears when you are blessed in every way possible and reminds you take a moment to appreciate that. I find this to be a strange card to draw during this week, especially with all the political unrest. However, I believe that the 10 of Cups is a card that has appeared, just like a rainbow, to remind us to have faith and keep the hope no matter what is going on in the news or in your personal life. Ironically, it’s also a 1(0) week in numerology, reminding us of endings becoming beginnings. There’s no doubt that a huge shift has happened and my own personal journey through the last week has taught me that although there is great chaos and turmoil looming, this shift has blessed us with the opportunity to get in touch with who we are at the very core and to discover, quite literally, our life purpose in the new paradigm. I’ve tried to remain objective while delivering uplifting messages of hope because I’m speechless with all the energy bouncing around. I hope you find comfort in them if you’re struggling. And I’m here for all my readers. If you need to reach out to me, please go to the contact me form on the Book a Reading page if you need a safe person to talk to. No judgment, only love. 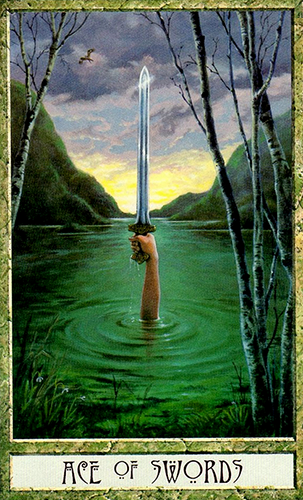 The card of the day is the Ace of Swords. The Ace of Swords appears when we must use pure intellect to process facts. Your words have power, use them wisely. Avoid gossip and slander unless you really know what’s going on. Moon sextile Neptune at 8:58 AM PST will elevate your psychic senses. Don’t let them overwhelm you. Moon trine Pluto at 6:45 PM PST may intensify emotions. Don’t let yourself get tangled up in obsession. If things feel tense and you have a partner, find your way to the bedroom and relieve stress through intimacy. The Moon is in the nurturing sign of Taurus for most of the day, providing you the opportunity to group your head and heart. Mantra: The pen is mightier than the sword and cuts just as deep. 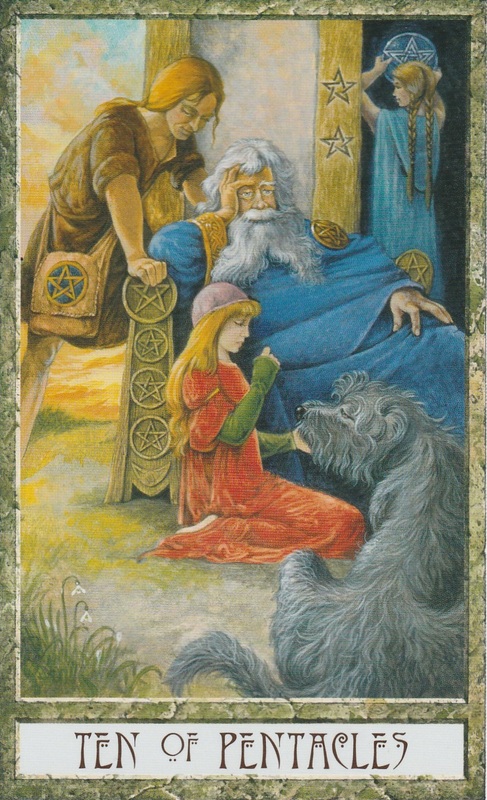 The Two of Pentacles is a card that appears when you’re doing such a good job juggling tasks. Your concentration is sharp and you seem to have it all under control but you may feel yourself getting tired and wondering how long you can keep this up. If you find yourself overwhelmed, you may have to prioritize your tasks instead of trying to do everything at once. Moon opposite Sun at 5:52 AM PST brings the Full Moon. This Moon is especially powerful because it is a Super Moon in Taurus. This is the closest the Moon will be to the earth until 2035 and it’s energy will be particularly intense. I’m guessing that we’ll get the effects of both Moon in Taurus and Moon in Gemini since she will be switching signs while she’s still in Super Moon mode. Together, that energy speaks of the love of language and words. It is of utmost importance to balance your head and heart at this time to harness the power of words. Moon opposition Mercury at 11:54 PM PST could put some stress on communication so if you need to, take a break and give yourself space from people who may be frustrating you. The number of the day is 7, a number of discovery. Mantra: Let’s get organized and prioritize. 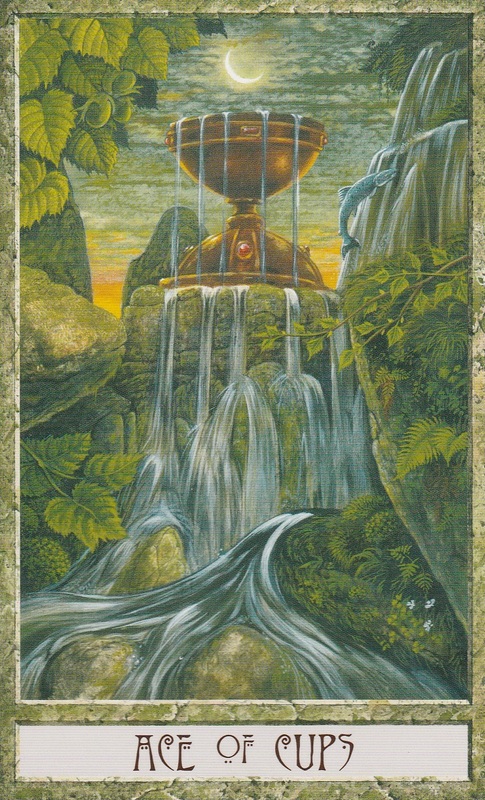 The Ace of Cups is a card that appears when our hearts are overflowing with emotion. If your heart is overwhelmed, fill it with love and gratitude. Moon trine Mars at 12:25 AM PST will bring leadership and bravery. Moon square Neptune at 7:53 AM PST could find someone trying to manipulate you. Beware of lies and deceit. Mercury sextile Mars at 9:23 AM PST will give you the power to wield your words with power. You will also be empowered to get work done in whatever area you choose to focus your energy today. Moon trine Jupiter at 3:35 PM PST will bring joy, happiness and generosity to your afternoon. Moon opposite Saturn at 6:34 PM PST could leave you feeling lonely and isolated. Don’t let pessimism get the best of you. The Moon is in the dual sign of Gemini so beware of mood swings. The number of the day is 8, a number of karma. Mantra: There’s always hope for a new tomorrow. The Sun appears when it’s time to take a lighthearted, playful approach to things. Life isn’t nearly as serious as we make it out to be. Enjoy your extra boost of confidence and try something new and exciting with Moon trine Uranus at 2:57 AM. If you are asleep during this transit, this theme may appear in your dreams. The Moon is void of course between 2:57 AM PST and 4:57 PM PST when it enters the loving sign of Cancer. Share love with those around you and you will receive love in return. The number of the day is 9, a number of endings becoming beginnings. Mantra: My love shines like the sun. Something big is coming. There is going to be a major upheaval and the pressure is building. But the good news is, it can be avoided. But it will take a lot of coming face to face with our darkest shadows and confronting them in order to prevent such a disaster from occurring. Moon opposition Venus at 3:11 AM PST could bring stifling obsessions in love and relationships. But for the most part, this is a pleasant transit filled with love and beauty. Moon trine Neptune at 8:05 AM PST brings initiative compassion. Moon square Jupiter at 4:50 PM PST brings a tendency for acting egotistical and spending too much money. However, the benevolent side of Jupiter is still present if you wish to access its energy. Moon opposite Pluto at 6:39 PM PST could bring intense encounters that illuminate the truth. The Moon is in the emotional sign of Cancer today but don’t get swept away in its tide. The number of the day is 1(0), a number of endings becoming beginnings. Mantra: It’s hard to stand up for what you believe in, but only through making your voice heard will change be possible. 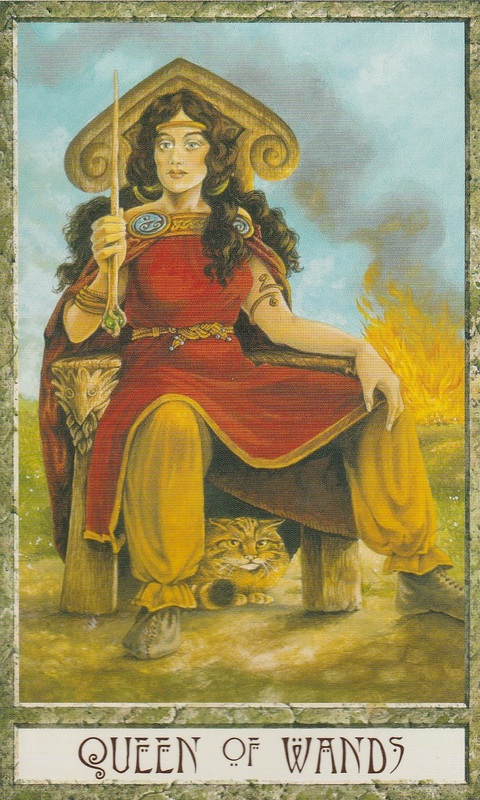 The Queen of Wands traditionally represents a fiery, passionate woman who inspires others with her charism. She reminds us to embrace life heroically and with bravery. She is the one who takes a stand even when others are against her and uses her leadership abilities to sway others. Tap into her energy today because things could get confusing for a while. Moon square Uranus at 4:10 AM PST may tempt to you jump to conclusions. This is a transit of upsets and disruptions so remember to keep a steady head on your shoulders. Mercury square Neptune at 8:04 AM PST could make this difficult by muddling communication. This is a dreamy time where you may feel like floating away on the backs of your dreams and fantasies. Moon trine Sun at 2:02 PM PST brings happiness, harmony and flow to your afternoon. The Moon is still in the emotional sign of Cancer. She goes void of course at 2:02 PM PST and then enters the fiery sign of Leo at 7:14 PM PST. Let your confidence empower you, it’s your time to shine. The number of the day is 2, a number of balance and duality. Mantra: We can be indestructible. 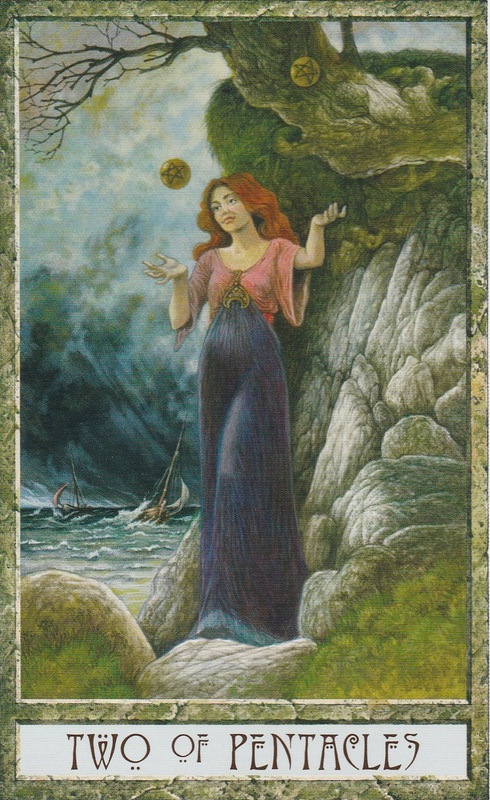 The 10 of Pentacles is a card of wealth. It’s a day to take a look around you and be thankful for all the blessings you have been given. If you don’t feel that your life is very abundant, take some time to figure out why and then decide what you can do about it. Moon opposite Mars at 8:48 AM PST could bring volatile emotions that cause passionate fights and arguments. Moon trine Mercury at 3:00 PM PST will bring flowing creativity and conversation. Venus sextile Neptune at 3:04 PM PST will bring creativity, romance, love and beauty. It’s a time for soulmates to unite and fantasies to come to life. Neptune stations direct after being retrograde since June. If you’ve felt a spike in your intuition or psychic ability over the past 5 months, you’ll see it return to normal from here on out. Moon sextile Jupiter at 9:44 PM PST will bring happiness, harmony and generosity to your night. The Moon is in the courageous sign of Leo, giving you all the confidence you need to embrace the full spectrum of all the wonderful things you have been given. The number of the day is 3, a number of things coming together. Mantra: True wealth is measured not by what you don’t have but by what you have. This entry was posted in art, Astrology, dreams, mysticism, mythology, numerology, occult, self help, spirituality, Tarot, Uncategorized, witchy, Writing and tagged abundance, astrology, divination, dreams, empowerment, inspirational, magick, manifestation, mantra, meditation, metaphysical, motivational, mysticism, numerology, occult, pagan, predictions, psychic, self empowerment, self help, spirituality, tarot, tarot reading, tarot weekly forecast, wicca, witchcraft, witchy, writing. Bookmark the permalink.